In recent years, the annual global deaths due to malignant tumors are nearly ten million. Among all cancers, oral cancer incidence amounts for 1.45% ～ 5.6% of systemic malignant tumors. 5 years survival rate of oral cancer is not very high, usually amounts for 60%, so it is one of the malignant tumors that seriously threat to health of human-being. 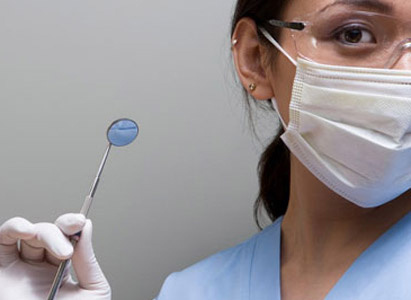 Therefore, oral cancer treatment methods are very important. Conventional treatment methods are surgery resection, radiotherapy, chemotherapy, Chinese medicine treatment. Integrated application of surgery resection and radiotherapy is superior to single application. Chemotherapy is still a kind of auxiliary therapy which can be adopted prior to surgery or cooperated with radiotherapy. Either used alone or integrated application with surgical operation, radiotherapy has been playing an important role in the treatment of oral cancer. For advanced lesions, especially those with cervical lymph nodes metastasis, the therapeutic effect of radiotherapy alone is poor. The ideal treatment option shall rely on the cooperation by radiologists and surgeons, so that they can work out the integrated treatment programs according to the anatomic location of the lesion, invasion scope, severity of lymph node metastasis as well as systemic condition of the patient, etc. Chemical treatment: the majority of head and neck cancers are squamous cell carcinomas which have low sensitivity to chemotherapy. It is seldom to apply chemotherapy alone for the treatment of cancers in head and neck, and often chemotherapy is applied together with radiotherapy or surgical operation. Chinese medicine treatment: usually oral cancer patients have poor physical quality with weak physical fitness. When patients cannot bear radiotherapy and chemotherapy, Chinese medicine treatment can be adopted to strengthen body immunity and enhance antitumor strength of oral cancer patients. For tumor with comparatively large scope of metastasis or lymph node metastasis, the traditional surgery, radiotherapy and chemotherapy have many big side effects, but the minimally invasive surgical treatment using modern high-tech means, can precisely kill cancer cells with small trauma, quick recovery and therapeutic effects, etc. so more and more patients prefer such treatment. A large amount of vitamin A can prevent the occurrence or recurrence of oral cancer, but too much vitamin A intake is also toxic, so vitamin A can only be supplemented under the supervision of doctor. During radiotherapy, mouth open, secretion of gland and teeth brushing, all these have difficulties, so patients should try to do gentle stretching exercises and often flush the mouth with soft toothbrush and moderate effective gargle. Patients can also try reed sprout juice or cool chamomile tea to increase secretion of the glands and eliminate dry of mouth, or use acidophilus solution to clean mouth so as further facilitate the supply of more health foods. Repeat these steps several times each day. Modern Cancer Hospital Guangzhou reminds you that besides patient’s actual condition, choosing which kind of treatment still relies on the doctor's clinical experience and skills as well as on hospital’s facilities. Patient’s condition should be assessed objectively and treatment plan shall be relied on multidisciplinary consultations. Success or failure of oral cancer treatment is largely relied on whether proper treatments have been chosen or not.